We’ve all seen the “share the road” stickers, but you may be wondering the best practices for keeping motorcyclists safe on the roads. Due the relatively small size of motorcycles, visibility is often diminished. As a result motorcyclists are at an increased risk of being injured or killed in an Ohio Motorcycle Accident. Of all the fatalities in Ohio car accidents last year, nearly 14% involved a motorcycle. This is all the more shocking when you consider that motorcycles were only involved in less that 1% of all total car accidents in Ohio. As the “share the road” campaign advocates, this is why keeping an eye out for motorcyclists is so critically important. 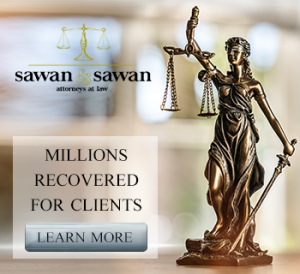 The family of lawyers at Sawan & Sawan have helped victims of motorcycle accidents recover financially after a collision. 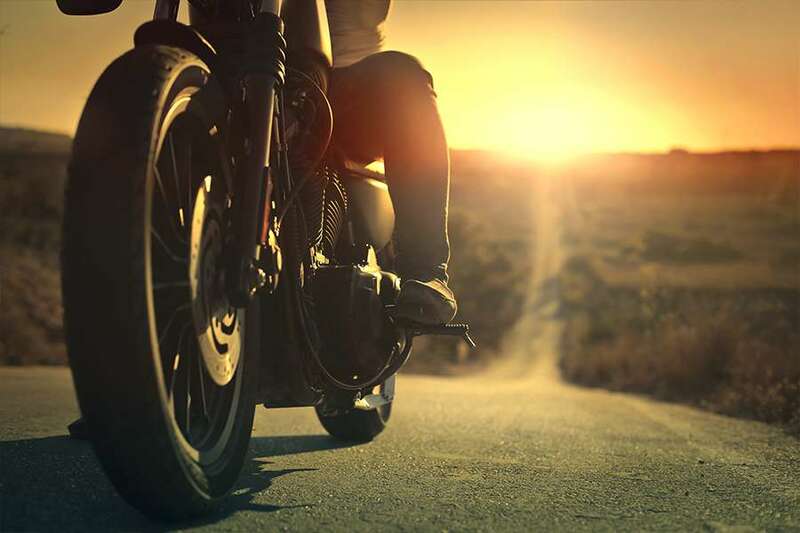 Our team of experienced Ohio personal injury attorneys know all too well the devastation such an accident can cause – so we published these 10 tips to help keep the roads a bit safer for motorcycles. Due to the relatively small size, visibility is a challenge for many motorcyclists (especially at night). This makes it all the more important that you are minding your rear and side view mirrors and paying extra attention for motorcycles on the road. Even if it seems possible, sharing a lane with a motorcycle is a dangerous idea. It is always best to give motorcycles a full width of a lane. The worst accidents often occur at busy intersections – where the lower visibility of a motorcycle is the most dangerous. Any time you have an obstructed view of an intersection – it is wise to proceed with extreme caution, as motorcycles may be in oncoming traffic and difficult to see. Scanning your environment before proceeding with caution can help prevent motorcycle and car accidents. Due to blind spots in your car – as well as the lower visibility of motorcycles – it is vital to be aware of your surroundings when changing lanes. Make sure to signal your intention to change lanes well in advance, and double check that there is no motorcycle in the blind spot next to your vehicle. Obviously, motorcycles and cars are designed much differently. Motorcycles are driven differently as a result – so it’s important to understand motorcycle riding practices, such as weaving and downshifting. Awareness of these unique attributes can help drivers better adapt and anticipate the driving patterns of motorcyclists. It is best to expand the following distance of a motorcycle to 4+ seconds – according to the National Highway Traffic Safety Administration. This will allow a motorcyclist sufficient time to safely maneuver or come to a safe stop in an emergency. While they can be a bit more difficult to see on a motorcycle, pay special attention to the turn indicators on motorcycles. If you see a motorcycle signaling a turn or lane change, give them adequate room to maneuver safely. Also remember that not all motorcycles have self-canceling turn signals. Distracted driving – such as texting while driving – can greatly increase your risk or a car accident. This risk is even more serious when it comes to motorcycle accidents, as visibility is decreased with smaller vehicles. Keep your eyes on the road. A disproportionate amount of motorcycle accidents in Ohio occur at intersections, so it is all the more important to double and triple check the intersection before making a turn. This means not only giving motorcyclists enough space to operate safely, it also means ensuring that you know the driving patterns and unique characteristics of motorcycles to avoid causing serious injuries. The family of lawyers at Sawan & Sawan can help! At Sawan & Sawan, we have over 30 combined years of helping injured victims recover the compensation they deserve after a serious injury accident. If you or a loved one have been injured in an Ohio Motorcycle Accident as a result of a the negligence or lack of awareness of another driver, call our family of lawyers today at 1-866-INJURY-0 (ZERO) today to schedule a free consultation.